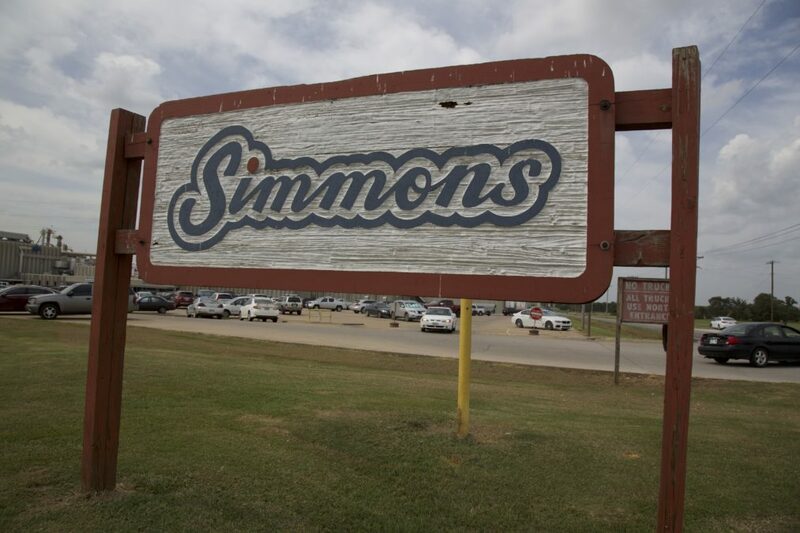 Simmons Foods in Southwest City, Mo., receives workers from several rehab programs. We published an investigation this week featuring Christian Alcoholics & Addicts in Recovery, a rehab program that puts court defendants to work at chicken plants. The workers don’t get paid for their labor. CAAIR does. We found a slew of rehab programs that supply cheap and captive workers to major poultry companies, such as Tyson Foods and Simmons Foods. The chicken companies pay for the labor. In some programs, the rehabs pocket the wages, and the defendants work for free. In other programs, they get to keep some of their pay. A convicted meth dealer named Raymond Jones started DARP after finding God in another work-based program. Like CAAIR, DARP is Christian-based. The participants aren’t paid. It was CAAIR founder Janet Wilkerson’s inspiration. Drug courts in Oklahoma routinely send men to DARP. One man severely hurt his ankle while working in the chicken plants, according to a lawsuit. Rather than get him proper treatment, DARP sent him “right back to work.” Another drug court defendant who was recovering from back surgery was forced to work at Simmons, under threat of prison. He said he worked 14-hour days, six days a week, according to his deposition in a lawsuit. DARP’s founder, Jones, did not respond to calls for comment. The Missouri program puts defendants to work at chicken plants owned by George’s Inc. and Tyson. They get about 5 percent of their total pay if they complete the program, according to Bryan Boman, a TPN employee. Boman said the rehab operates like a temp agency for companies with high turnover rates. NOCA puts some defendants to work processing chicken for Simmons Foods and Tyson, one of the country’s largest poultry producers. The defendants work for free for a certain period of time, and then are allowed to keep a portion of their pay. An employee said NOCA’s directors were unavailable to comment. Men pay $1,200 to enter the rehab program and mostly keep their wages. They pay the rehab $200 per week for rent and transportation. Simmons Foods and George’s did not respond to calls for comment. A spokesman for Tyson Foods said it doesn’t actively seek out rehab participants. “We’re not soliciting job applicants from these programs, however, clients of these organizations may seek work with us just like anyone else,” he said. This post has been updated to note that Harvey Fields said that “The Ark” helped him recover from his addiction. Have a tip about rehab programs that put defendants to work? Let us know.